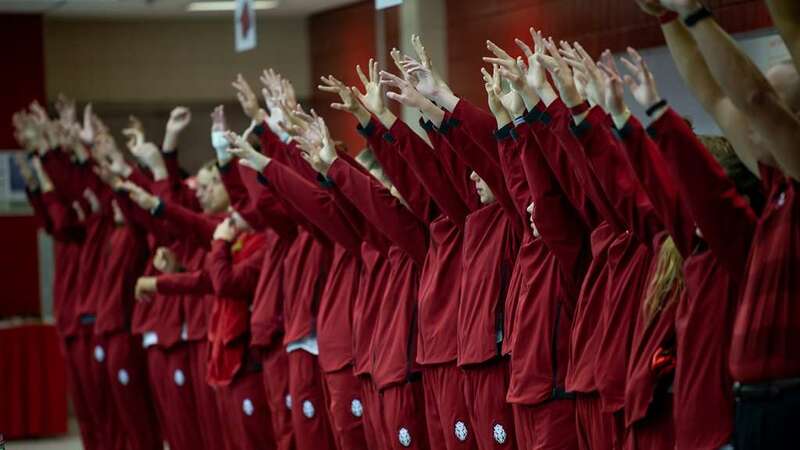 Six members of the Arkansas swimming and diving team, five student-athletes and one coach, have earned post-season SEC honors, as announced by the league office Wednesday. 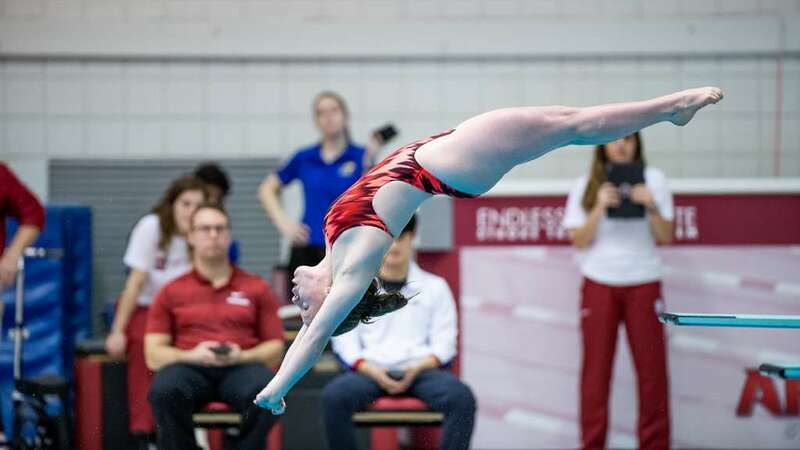 Razorbacks sophomores Maha Amer and Brooke Schultz concluded competition at the FINA Grand Prix this weekend, with Schultz taking second in the 3-meter synchro. 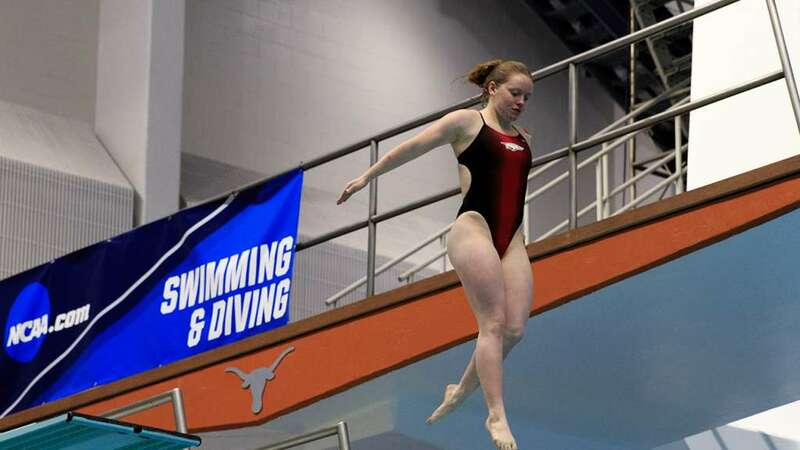 Razorback sophomore Maha Amer opened competition at the 2019 USA FINA Diving Grand Prix Thursday afternoon, advancing to the semifinals in the 3-meter. 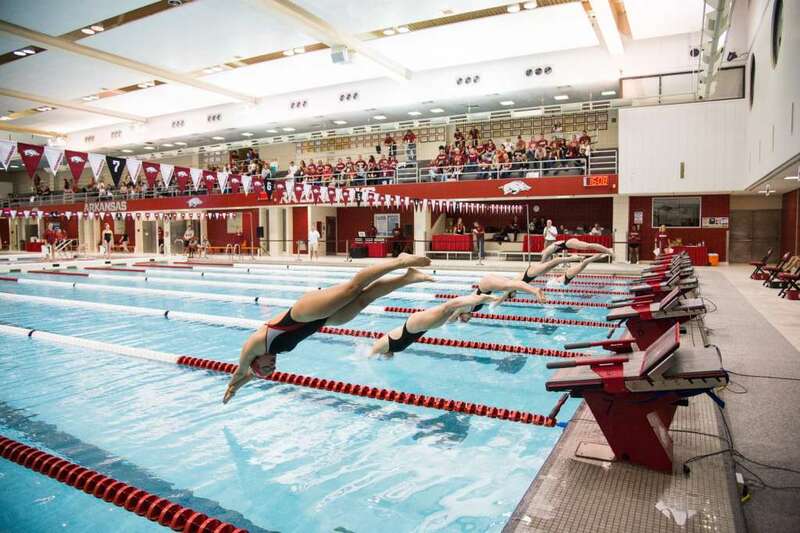 Boosted by its best finish in more than three decades at the NCAA Swimming and Diving Championships, the University of Arkansas remains among the nation’s top 25 intercollegiate athletics programs in the second edition of the 2018-19 Learfield IMG College Directors’ Cup Winter Standings released on Thursday by the National Association of Collegiate Directors of America (NACDA). 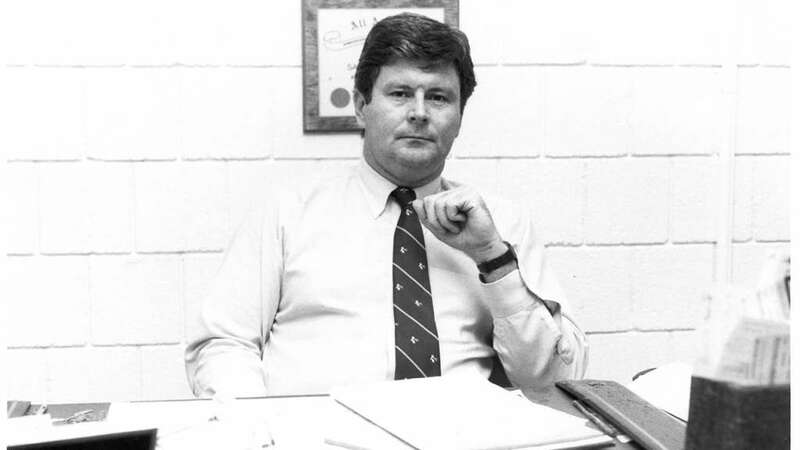 Former head swimming coach Dr. Sam Freas, one of the most accomplished in program history, passed away last night. 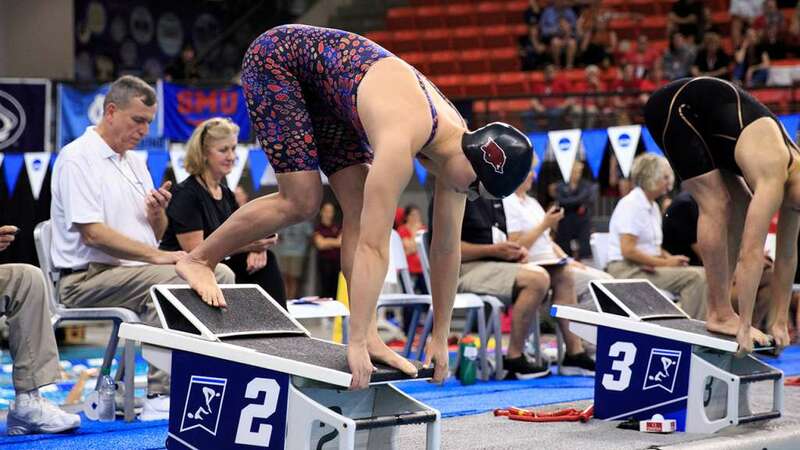 In the final day at the NCAA Women's Swimming and Diving Championships, junior Anna Hopkin earned a second-place finish on the way to a program record in the 100 yard freestyle to lead the Hogs to a 19th place NCAA finish. Sophomore Brooke Schultz earned a second-place finish on the 3-meter Friday afternoon at the NCAA Swimming and Diving National Championships in her second top-5 finish of the meet. 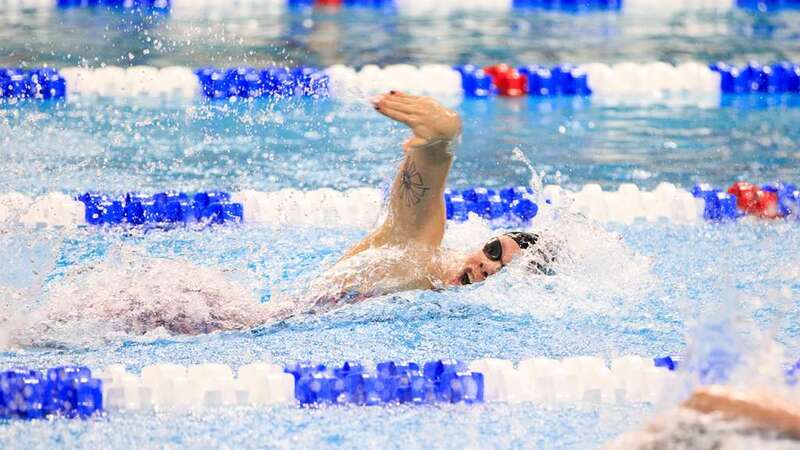 In the first day of competition for Arkansas at the 2019 NCAA D1 Women's Swimming and Diving Championships, Anna Hopkin and Brooke Schultz earned top-5 finishes in their first events of the meet. 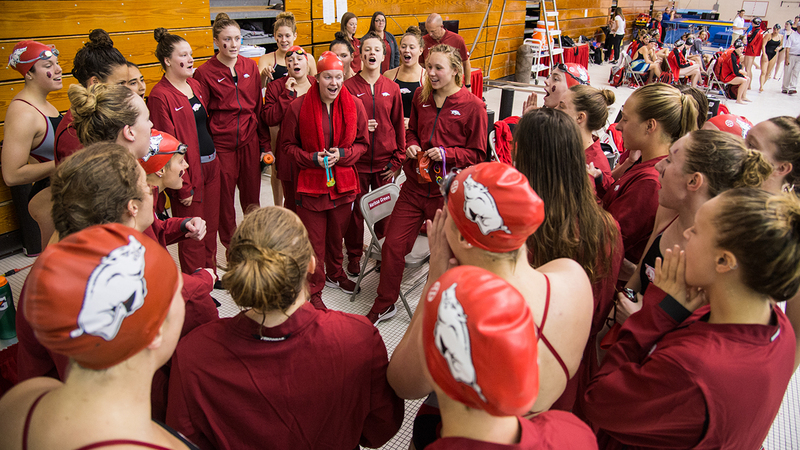 FAYETTEVILLE, Ark.- The Arkansas swimming and diving team will spend the week in Austin, Texas, for the 2019 NCAA Women’s D1 Swimming and Diving Championships, with seven Razorbacks set to represent the program at Texas.